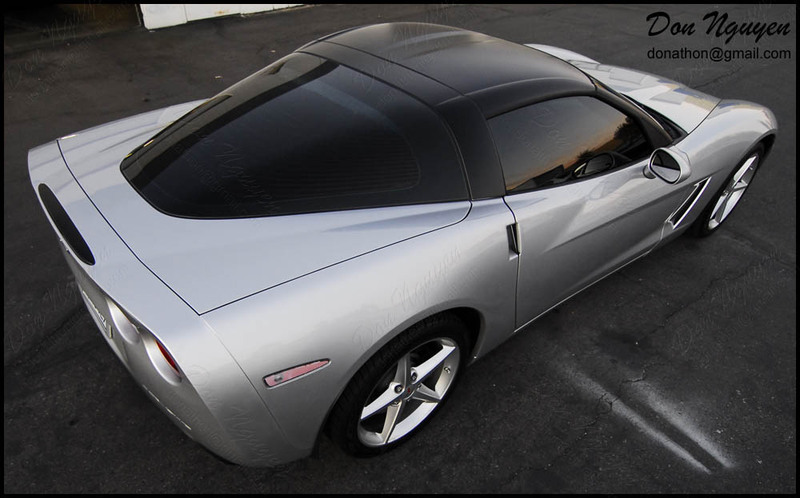 The owner of this silver Chevrolet Corvette contacted me to see if I could vinyl wrap his T-top and roll hoop with my matte black vinyl material/finish. I don't get too many domestic cars coming by to get vinyl work done, so this was a nice change of pace. I personally think that the matte black top gave this car a clean look but also a more aggressive stance at the same time. 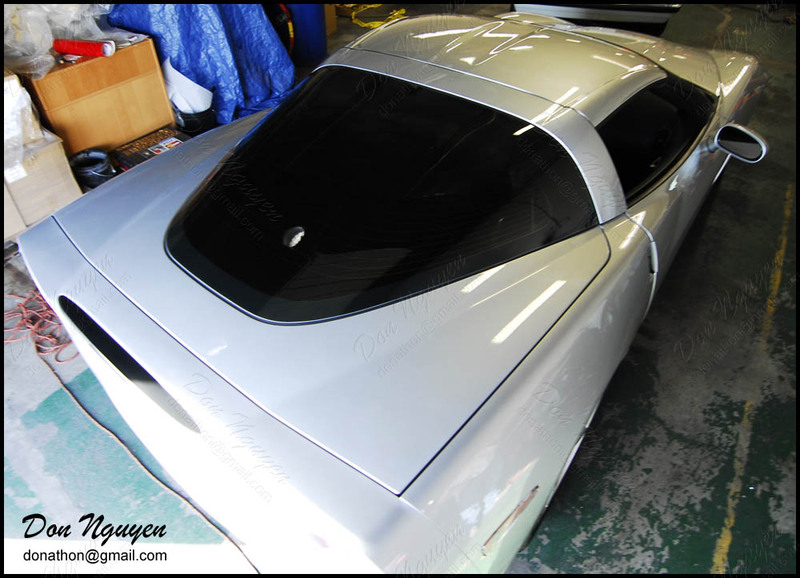 Almost even made the car look longer, because the black was continuous from the front of the windshield to the back of the trunk/rear window now. The owner of this car was around south Orange County and came over to me to have the vinyl work done.